Tranquility Lane Flowers is an exclusive flower studio in the beautiful hillside town of Garberville, California. Our wild and lovely flower farm is located on the country road that is our namesake ~ Tranquility Lane ~ just a few miles out of town. We are a local, family owned and operated flower studio & flower farm. 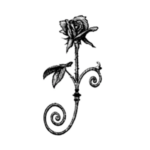 Tranquility Lane Flowers has been serving the Southern Humboldt Community since 1990 (See Our History). The Garberville studio is open from 10:00am – 5:30pm Monday thru Friday. Come by or call to schedule a consultation for a wedding or other special event, a weekly floral delivery subscription, or to purchase a lovely floral arrangement or bouquet for yourself or a loved one. The flower studio carries locally grown, organic flowers whenever available. We strive to work with other small, local farms as our main suppliers. We also have many other exclusive connections that make it possible to get exotic premium quality flowers from around the world. If you’re in Garberville, stop by the studio to say hello and enjoy the beautiful fragrance and abundant colors of our many blooms. The selection at the shop is always changing. We also have our own extensive cutting garden at our Tranquility Lane Flower Farm. We use items from the around the farm and the forest to “wild it up” with unexpected and exciting additions to our bouquets. Our exclusive designs often have a regional flavor reflective of our lovely area. Adding these local, seasonal fresh cut flowers, branches and greenery to our arrangements has always been our own unique signature style. Our designers (meet them here!) are wild about flowers and passionate about creating stunning floral designs. We feel flowers enhance the beauty of of any event or celebration, and we are honored to help make your special celebration uniquely beautiful! We also love our planet and strive to keep our business as green as possible by practicing sustainable flower farming techniques, purchasing local flowers whenever available, recycling and composting our waste. My life has always been about inspiration and passion. From a very young age I realized a need to follow my heart and express my creativity to maintain my serenity. Newly married, my husband Danny and I moved from city life in Los Angeles to Northern California, to attend college as an art major. Dreams of life in the country led Danny and I ever further north until we purchased our lovely, wild, family farm here in the Lost Coast region of Southern Humboldt. We established the flower business so that we could work from the farm while raising our family. I’ve learned farming and floral design over the years with a lot of trial and error! Floral design and gardening have continued to be my passion, and I love all aspects flowers, from garden to vase. I’ve been blessed with a life that allows me to do what I love. Flowers are what spark my enthusiasm. I love the colors, and I love how the seasons change my palette. I love that colors & flowers express emotions for us! I love that they can make people so happy. And I love how the traditions we have celebrated throughout history have always been decorated with flowers. Thank you for visiting Tranquility Lane! 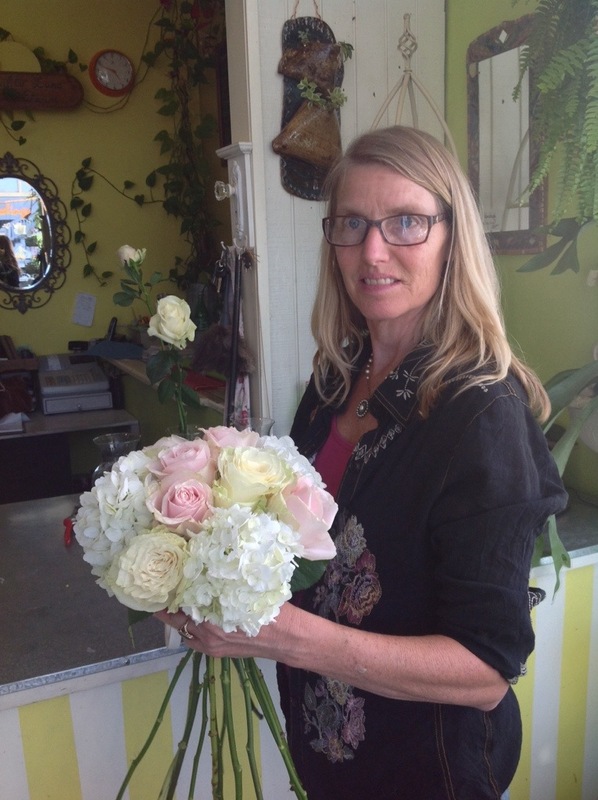 Born and raised at Tranquility Lane, Alana has developed her floral design skills throughout her entire lifetime. She spent her college years in Santa Cruz focusing on art and photography, but the Humboldt hills called her home. She has been part of the family business, helping with events, holidays and the flower shop since she was very young. Alana is a naturally talented designer and artist. Her floral design style is very free and lush. She has a home and family of her own these days, and spends most of her time with her husband and children, gardening, traveling and writing. Opal is a third generation Humboldt County local. She studied business at college in Santa Cruz and is a Certified Event Coordinator. Opal loves how flowers can impact people’s lives, and how they enhance all kinds of special events, holidays and celebrations from birth to sympathy. She enjoys being involved in the special occasions of our close-knit community. Designing at the shop since 2013, Opal is inspired by the color and fragrance of flowers. She brings a youthful & modern twist to her creations. She is also our large event site designer and coordinator. Opal is now stepping into her newest adventure, being a Mother! Congratulations Opal! Katy is a San Francisco native transplanted to Humboldt County in 1976. She joined our team in 2014, bringing with her so much experience; from owner of her own retail boutique, to a career as a major event coordinator (Reggae on the River). Katy is a floral artist with a love for Asian and Natural designs. She finds inspiration & beauty in nature, and often will bring in some unexpected, exciting elements for our designing pleasure. Her passion is to take found treasures in nature and create and use them in her designs….moss, woodland mushrooms, acorns and seeds all play with her creative mind. Sara is a talented floral designer & owner of her own flower farm business, Petal Labs. Sara’s design career includes floral manager for Whole Foods, floral designer for Winston Flowers in Boston, Massachusetts. Sara finds creative inspiration in the natural world, which translates into her designs. Her skills allow her to make a wide variety of designs, from simple bouquets to elegant wedding work. She loves to teach and engage people & help them to be creative while expressing herself. Many, many years ago Danny and I would have our morning coffee across the street from a lovely little flower shop in Santa Cruz, California. It was no bigger than a closet and was overflowing with a glorious abundance of flowers, plants, stems, leaves, vases and ribbons. That shop was the prettiest place I had ever seen up to then and has been my inspiration in establishing Tranquility Lane Flowers in Garberville. And although that original little shop fell to the ground in one of the famous California earthquakes, its memory is still very alive in my heart and guides me each day as we work in our own little studio and re-create that feeling of bountiful abundance with our own stock of lovely flowers and plants. We started our professional floral career in Garberville in 1990, selling gorgeous flowers from a hand-crafted little flower cart, street vendor style. When the historic building we're in now became available it was a natural transition to expand into a more permanent setting and offer an ever-changing variety of floral arrangements and lovely gifts. So now, here I am in my own teensy-tiny flower studio with our own flower farm and big plans for the future! I am always thrilled to set up our fresh flower display in front of the shop, visit with the other shopkeepers and passers-by in town, and welcome customers into our lovely, fragrant space. My dream has come true; to have a beautiful store front that is bursting with an abundance of colorful flowers and plants, and to spend my days playing with the blossoms at my design bench or tending the flower gardens at home. To me, this little studio has become another of the prettiest places I have ever seen. If you're passing by Garberville, be sure stop by and experience the colors and fragrance of our little space. The historic building we're in is also quite lovely, with its high transom windows and bright blue trim. I'm told it was originally the public library for the town of Garberville. The building across the street was once the old livery stable where the local blacksmith plied his trade.